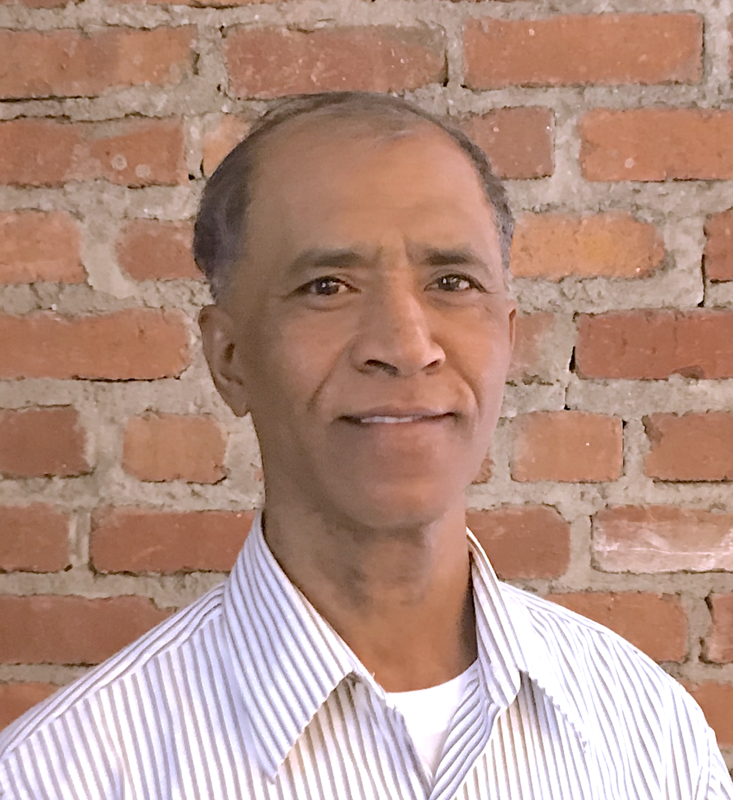 A responsive app that takes data from multiple API libraries as input and displays different data to the user. These data can be saved or deleted as required by the signed in user. 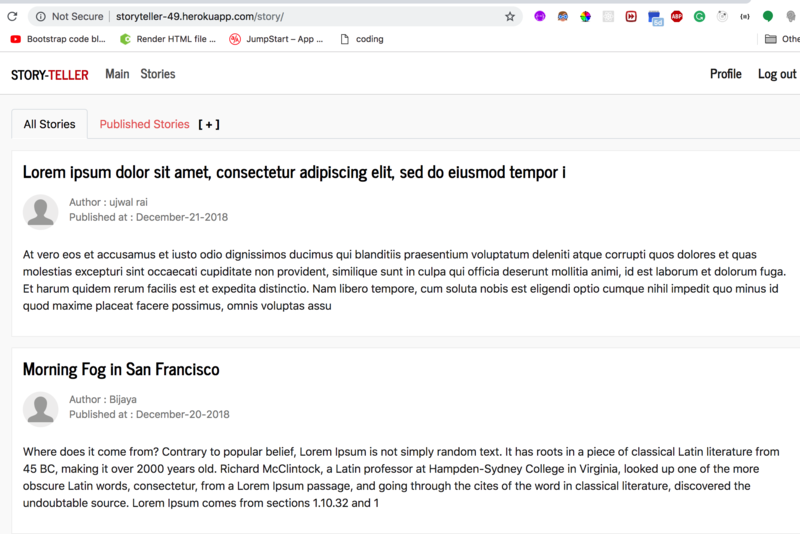 A web application that allows users to sign up and publish an article they want for the public to read, readers can have an account to write/edit comment on the articles they read. Authors can delete the comments if found not suitable. 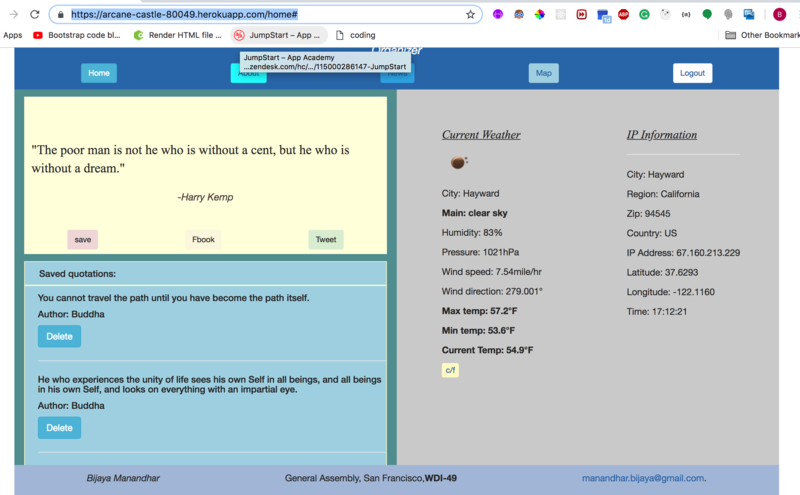 A web application that uses a public API library generating inspiring quotes delivered by different famous personalities in the past. 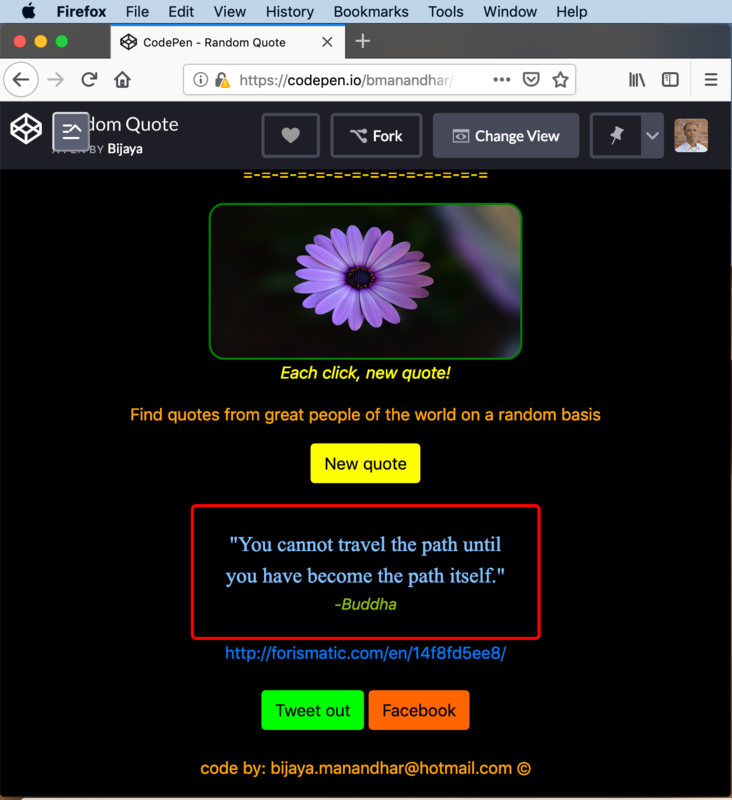 Users can read and post these quotes direct to their social media account by clicking the respective buttons. 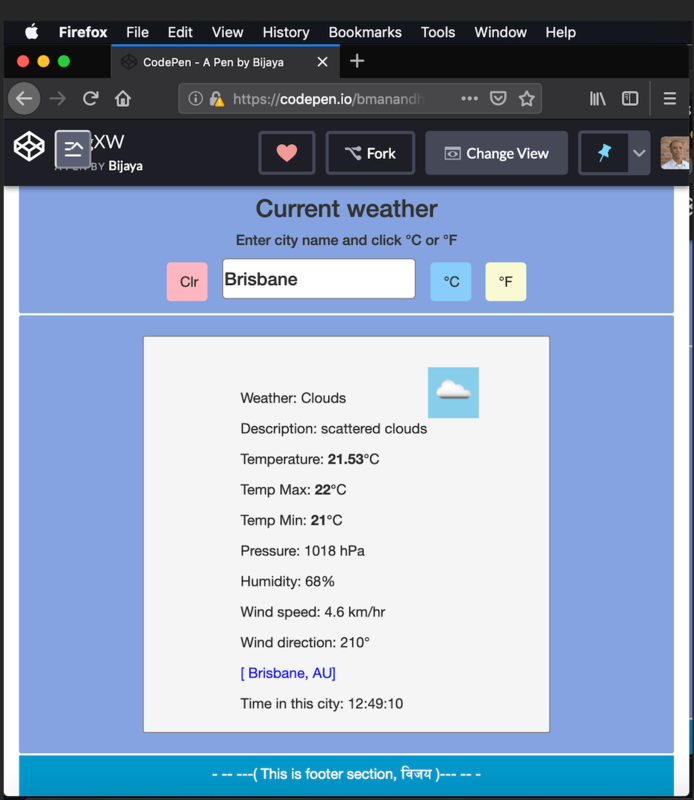 A web application that takes city name as input and returns the current weather information of that city. It displays error messages if the city name entered is empty or invalid.